MEDTEC JAPAN　2014, SMK exhibits connectors, touch panels and so on. 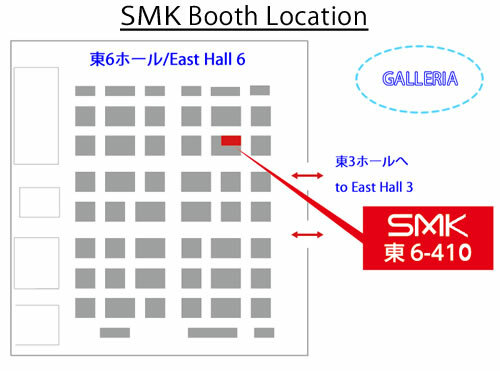 SMKTOP > Event News list｜April, 2013 ~ > MEDTEC JAPAN　2014, SMK exhibits connectors, touch panels and so on. It is indeed a great pleasure for us to inform you that we will be presenting at “MEDTEC Japan 2014” which will be held from April 9th to April 11th, 2014 at Tokyo Big Sight. MEDTEC Japan is the largest exhibition of Asia for the design and manufacture of medical equipmnet. On this occasion we will be exhibiting products such as connectors, switches,touch panels and modules for medical health care. Feel free to drop by and touch a wide variety of demonstration on our booth >East Hall, East 6-410. For more information, please contact the Marketing Dept.